Garden Cabin: Garden Cabin at Beechwood Inn – Luxuriously furnished three bedroom North Georgia Cabin offers wonderful lodging in the North Georgia Mountains. 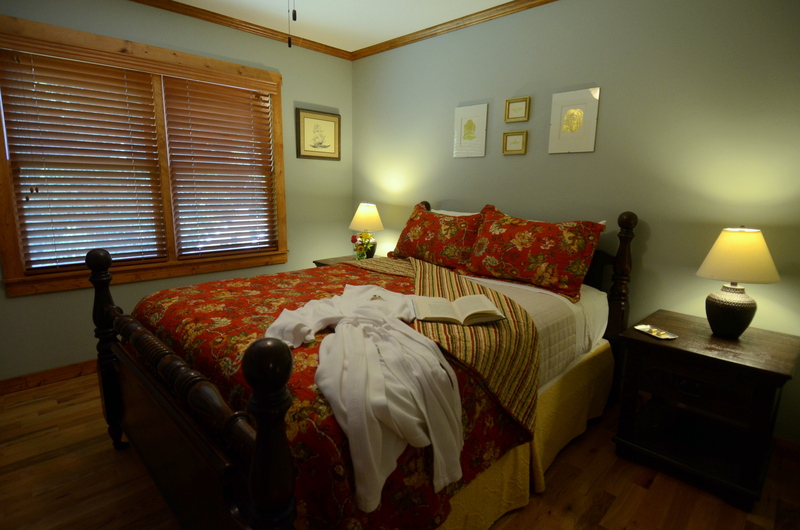 Perfect for 2-3 couples, three ladies or men each wanting their own room and bed, or a small family. Maximum Occupancy – 6. Our North Georgia Cabin features a large living area, original masonry fireplace converted to gas, three bedrooms and offers two full baths with beautiful recently remodeled tile showers. The living area flows into a dining room and fully equipped kitchen. Comfortable furniture, ceiling fans, and local art create an upscale rustic atmosphere. 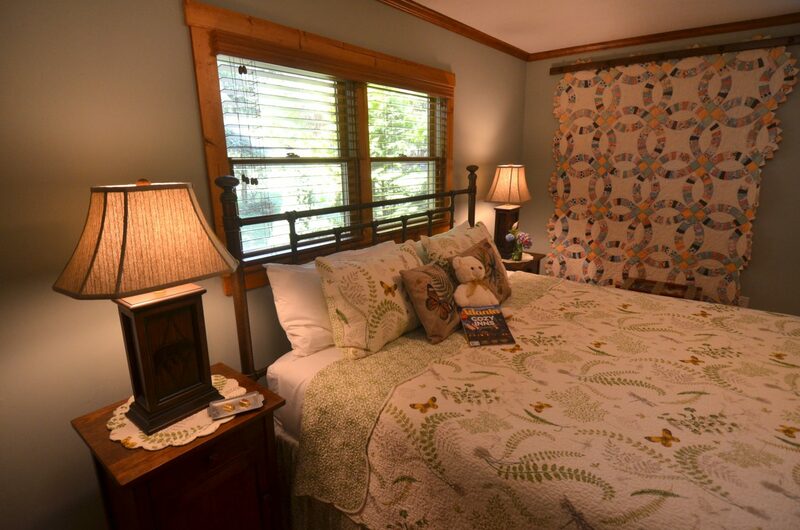 The cabin also features a screened activity porch with log furniture, central heat and air, washer and dryer, beautiful locally milled hardwood floors, WIFI, and much more. 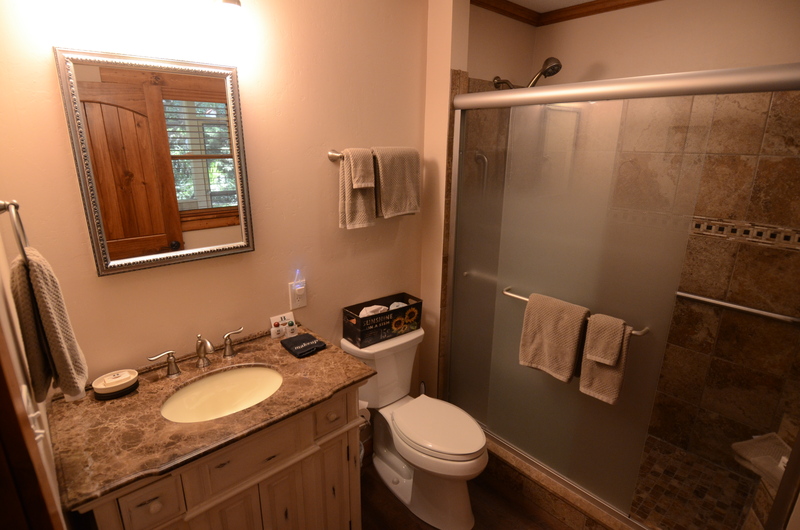 The Master bedroom features a king bed, with private tiled shower bath. The other bedrooms offer queen beds. The living-room offers comfortable furnishings, flat screen smart television, and garden views. 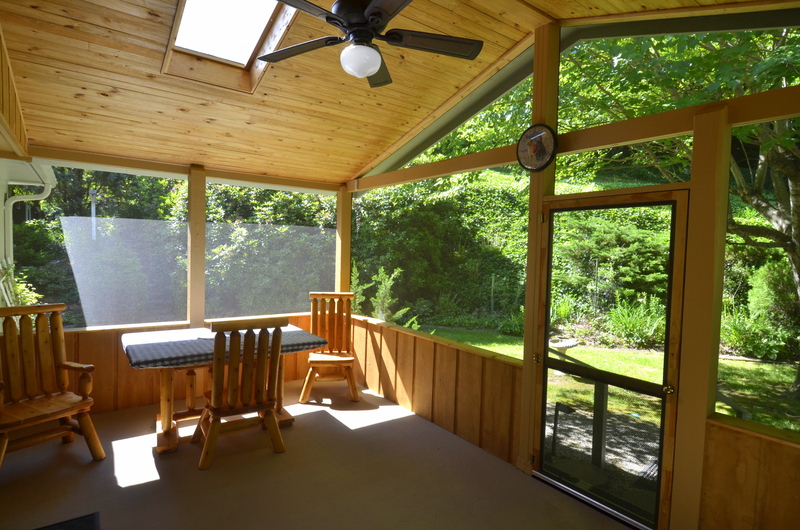 The large screened porch captures the beauty of our gardens and offers bug free outdoor dining, ceiling fan, and gas grill. Includes our fresh and local breakfast each morning in the inn, wine-thirty each evening and daily house-keeping. Base Rate: $299 – $349 for up to two people in one room (depending on the date and day of the week). 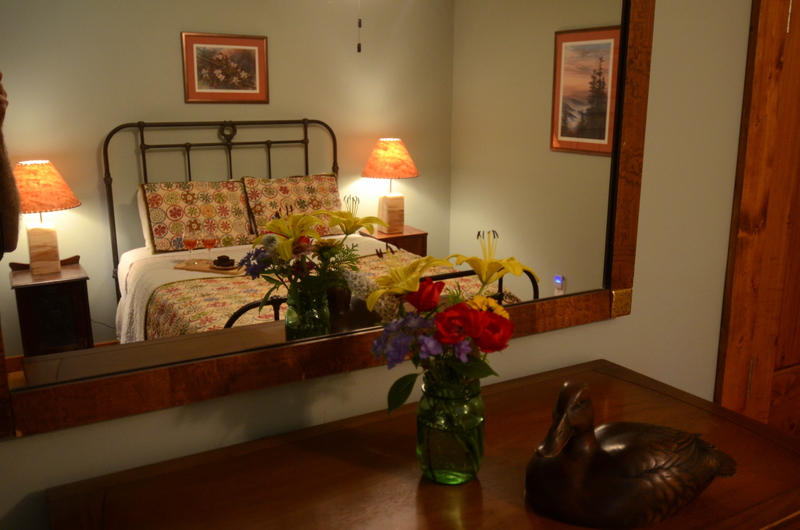 Add $45.00 per-night per-extra bedroom (includes additional breakfast, wine-thirty and house-keeping). 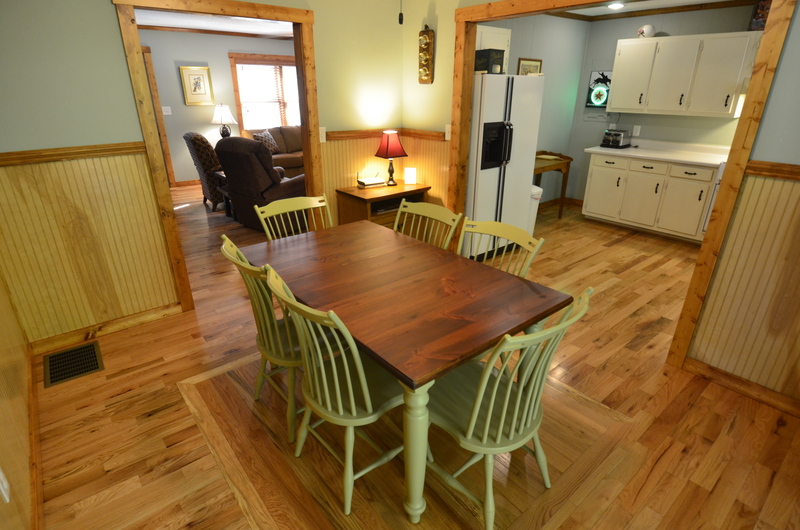 Two day minimum rental on our cabins. Please be aware that our rates are set to change based day of week, season and occupancy (Yield Management). Please check our current rate before you book.Please read our cancellation policy on our policies page.